This is a rare chance to own this outstanding home in Forest Gardens! 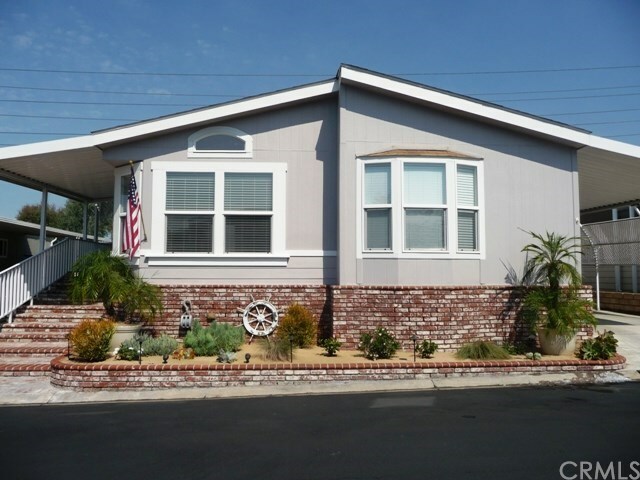 A 10+ Pride of Ownership manufactured home situated on a private lot landscaped to perfection! Custom-designed and exceedingly well appointed 2005 Champion Residential Series double-wide about 1,569 SF plus enclosed porch is awaiting new owners! Enter this nautical/marine themed home through a beautiful and highly unique front door. The open floor plan features a living room, separate dining room, three large bedrooms, two bathrooms and service area. Comfortable & spacious living room offers a surround sound system, fireplace with granite mantle plus 55" tv above it, transom windows, and hardwood floors. 5 ceiling fans throughout home, skylights and solar tubes, drywall with bull-nose corners, and vaulted Ceilings. Gourmet Kitchen with large island, breakfast nook & pantry. Kitchen cabinets with glass fronts & quartz counter tops. Top of the line stainless steel appliances. Large private master suite with walk-in closet, his and her sink, marble tile counter tops, step-in shower. Service area offers storage and built in sink. Brand new washer/dryer negotiable. Relax and enjoy porch with ceramic tiles. Home also features an enclosed porch with AC/heat. Large storage shed will hold all your extras! This home has so many more special features...too many to list! Furniture Optional.